Built tough, an impact-resistant, lightweight aluminum casing resists rust and corrosion. The G19 also features an unbreakable LED and rubberized O-ring for reliable water resistance and durability. 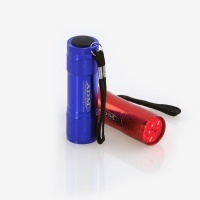 High quality made red LED torch in anodized blue or red. Ideal for astronomy. 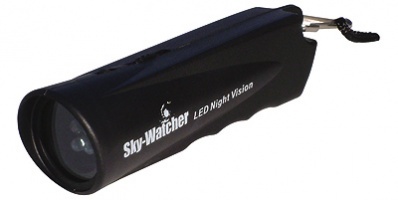 9 LEDs in this torch makes it nice and bright and it won't affect your precious night vision when out observing. Also, comes complete with a handy wrist strap. 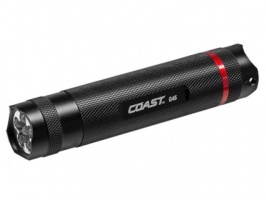 The Coast G45 Torch have 6 LEDs packed into it's tiny 4.5 inch casing giving you a very bright white, 135 lumen flood beam. Manufactured from super-tough anodised aluminium it is weatherproof and virtually unbreakable. 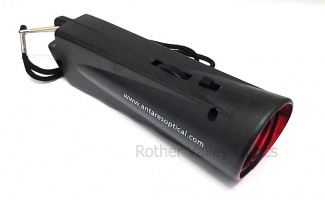 An important accessory for anyone getting into astronomy is the 93588 Night Vision red flashlight! Did you know that when your eyes are dark adapted, using a red light will help to illuminate your charts, accessory case, etc, without losing your eyes dark adaption? The HX4 LED C.O.B. 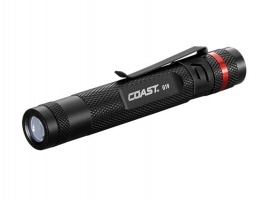 Cliplight is the ideal dual color everyday carry light. By combining red and white LEDs, the HX4 LED Cliplight is great when you need bright illumination or need to use it in situations where you need to preserve your night vision. 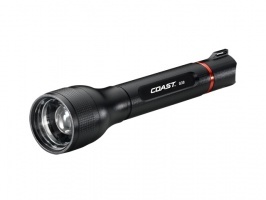 The G30 Focus Beam LED flashlight has an impressive light output of 121 lumens. 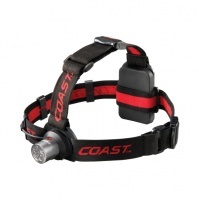 Coast's Pure Beam Focusing Optic System with Twist Focus provides superior beam consistency from spot to flood, with no dark rings typically associated with focusing flashlights. A lightweight aluminum casing offers great durability and will hold up to heavy daily use. 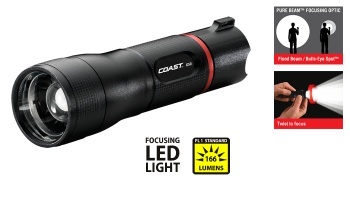 The G50 focusing LED torch features a twist focus using Coast's Pure Beam Focusing Optic System, providing superior beam consistency from spot to flood, with no dark rings typically associated with focusing torches.